Delta Braking was established in the Netherlands in 2001. In that time DELTA Braking has earned its place in the world of friction and high quality braking systems. The company produces brakes and components (full metal and organic) for Mopeds, Vintage and Modern Scooters, MiniBikes, Motorcycles, ATVs, UTVs, GoKarts, Snowmobiles, Racing Cars, and even Airplanes. It meets the highest standards as an OEM replacement for all the top brands from Aprilia to Vespa. The brand has gotten a wide following in the world of scooters and mopeds for having some of the best and most reliable replacement scooter pads on the market. DELTA production facilities are now located in Czech Republic and has distribution centers all over the world. 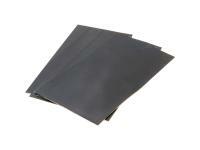 RP USA carries the full lineup of Delta Braking pads. 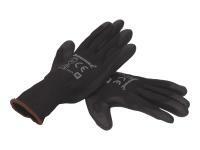 Check under our motorcycle or scooter brake applications tab to see all the applications for this item. As Delta Braking has grown production has been continuously growing over the years, and, the product is highly valued and appreciated by their loyal customers worldwide. 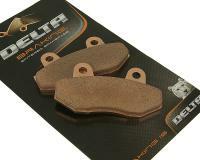 Everyday around 2000 drivers or mechanics fix DELTA Braking brake pads on their vehicle! DELTA Braking R&D, together with their customers, is continuously improving the DELTA Braking products and enlarging their program. Innovation is the word and their best efforts are put to make the world a safer place. Ongoing research and developments ensures safe, reliable long life performance. If you need to replace your brakes on your moped, scooter, ATV, or motorcycle make sure to consider one of our Delta Braking products. Made in Europe and one of our premium high quality brands!